The Public Accounts Committee have accused Britain’s tobacco industry of fuelling black market trade by oversupplying their products to high risk european countries such as Spain, Netherlands, and Luxembourg. Margaret Hodge, chairwoman of the committee, has also accused HM Revenue and Customs (“HMRC”) of “turning a blind eye” to the fact that UK manufacturers are oversupplying european nations with tobacco products and that these products often find their way back to the UK on the black market. We understand that 20 per cent of tobacco consumed in Britain is illegal, costing the treasury 1.9 billion a year. Figures stated that 9% of cigarettes and 38% of hand-rolling tobacco sold in the UK come from black market trading. 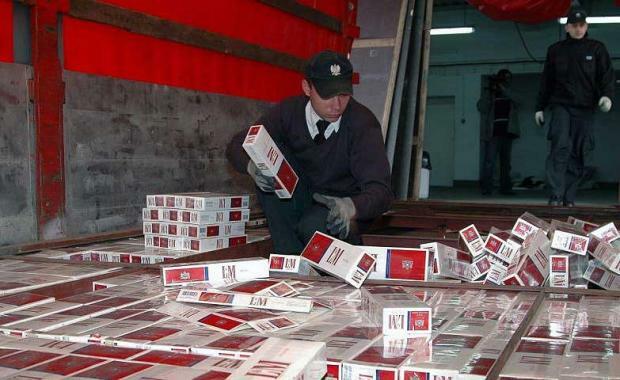 British tobacco companies are accused of over-supplying european countries with their products and therefore not doing enough to counter tobacco smuggling within the UK. Margaret Hodge has accused HMRC of not being assertive with these manufacturers, as so far it has not fined a single company. However, figures show there were “only” 265 prosecutions for tobacco smuggling in 2012/13. HMRC did plan to launch a new project to combat manufactures for over-supplying tobacco products to high-risk. However, the scheme had to be abandoned because of “legal concerns” and was described as “very optimistic”. The committee’s findings state that more needs to be done by HMRC and other public authorities to tackle and eliminate black market trading. One way of achieving this is objective by publicising prosecutions to deter current and potential offenders. The government have now stated that they are going to reinvest nearly £1 billion in HMRC to fight against tax evasion, fraud and avoidance, with specific emphasis on black market tobacco trading.